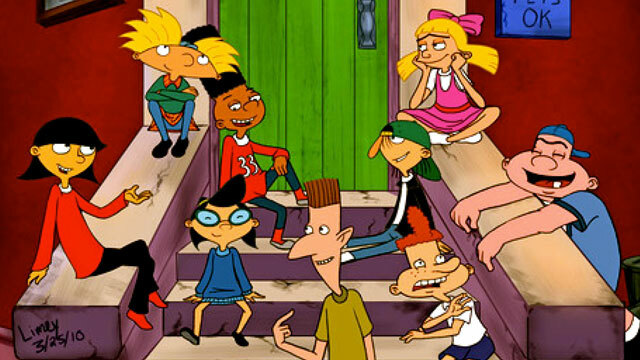 Nickelodeon has dropped the news that, as a part of the network's 25th Anniversary of original creator-driven animation, there will be a new Hey Arnold! movie, tentatively titled Hey Arnold! : The Jungle Movie! The movie will not only pick up from where the show ended but finally answer the question that plagued many fans of what happened to Arnold's parents! Hey Arnold! : The Jungle Movie will be written and executive produced by the series’ original creator Craig Bartlett, feature the original voices from the cast, and will be produced by Nickelodeon Animation Studios. The original cartoon aired on TV from 1996-2004 before being cancelled. So far no details on when the movie will be released have been given to us but we here at The Spotlight will keep you all informed when it does!